Motus Motorcycles Shutting Down "Effective Immediately"
There’s a lot of crossover between motorcyclists and musicians. It makes sense: motorcycling’s cool, music’s cool. Except for drummers, of course. There’s a reason those guys are always spontaneously combusting. Anyway, along with my recent bikesistential crisis, I had a hankering for a new guitar. 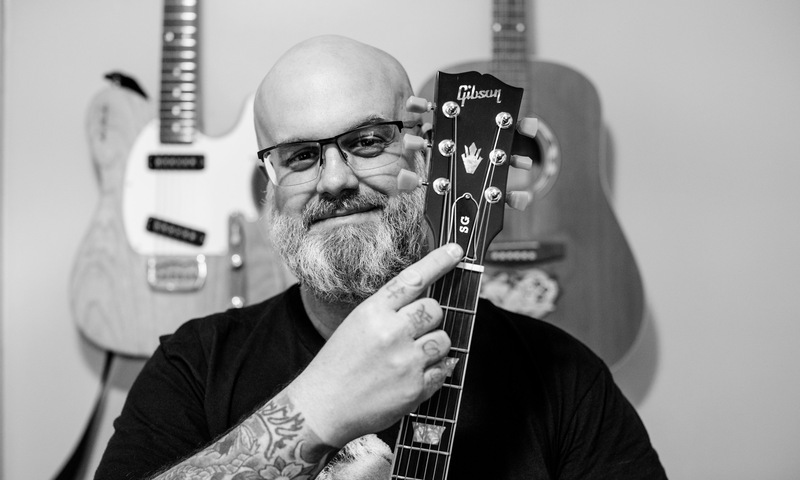 As often seems the case with many former-sorta-still musicians, the day-to-day got in the way and my guitars got dusty while my skills got rusty. I convinced myself that a new (to me, at least) guitar hanging on the one conspicuously empty guitar hanger on my home office wall might be just the thing to get me playing more regularly again, and after a month of searching eBay and Reverb.com (and some soul-searching due to the typical American consumer bent to my “problem-solving”) I bought a very clean ’99 Gibson SG Standard, in the only color that’s acceptable: translucent cherry red. Both Fish and I have a deep appreciation for a variety of country music, old to new to weird, so it was inevitable that the conversation would turn to Telecasters. We’re both semi-purists in that we mostly prefer “correct” old-style guitars, like Fifties and Sixties stuff, but I deviate a bit in preferring G&L ASATs over “real” Fenders. I say “real” because G&L is the guitar company started by George Fullerton and Leo Fender (yes, that Fender) in the late Seventies. The G and L are for George and Leo—these two were basically making modernized, even hopped-up versions of decades-old Fender standards like the Telecaster and Stratocaster. The ASAT, essentially a modernized Tele, has been my guitar of choice since I bought one as my first new-new guitar in the early Nineties. I’ve owned several, and an early Leo Fender signature ASAT hangs on the wall in my office. Guitarists are like cruiser fans: fanatically dedicated to tradition and heritage, abhorrent to change. Many Fender players couldn’t jive with the G&L stuff, though it was made by Mr. Fender himself, because it was updated, different, sorta like a Victory cruiser. And we know where that ended up. G&L has fortunately outlasted Victory, and is still making kickass guitars to this day, even though Leo died in ’91 and George passed in ’09. Anyway, Fish and I were cruising eBay, Craigslist, and Reverb, him for Teles and me for ASATs, sharing our finds, debating butterscotch versus blonde and discussing the virtues of P-90s and humbuckers in the neck position, and began identifying motorcycle analogues for these guitars. Fish got all weak in the knees for a Bigsby-equipped blonde Telecaster built in 2013, which I compared to a new Bonneville adorned with “period correct” accessories. He retaliated by aligning the Les Paul Gold Top I had my eye on with the sea of lookalike GSes, calling both played out. How about you—what kind of motorcycle do you play? What kind of guitar do you ride? This story originally appeared in our May 2018 issue.